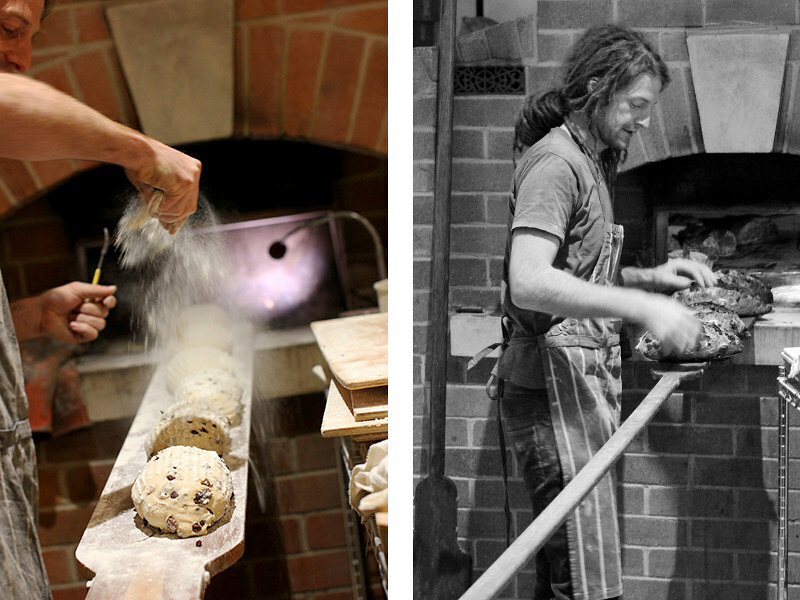 Thank you for the great photos and a thoroughly enjoyable New England road trip, especially the lovely breads that Nick and his brother Josh bake at The Goldfish Bowl Bakery. Was a pleasure to share ... I have been looking forward to this trip for some time now. Wow! 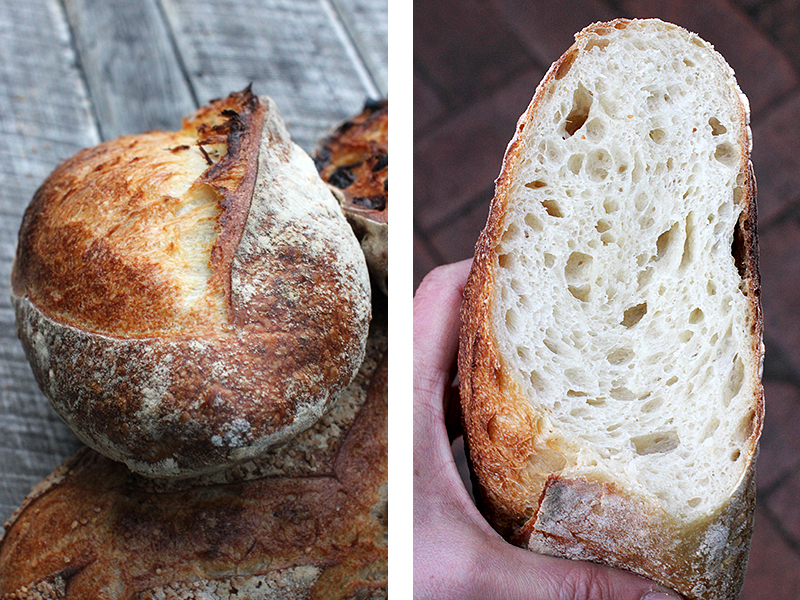 Amazing WFO and breads. This place is a must to visit in the future when we do around Australia trip. How much would it cost for building one of this size WFO? Your photographs are beautiful as always. I would say the oven is about the price of a medium sized car ... 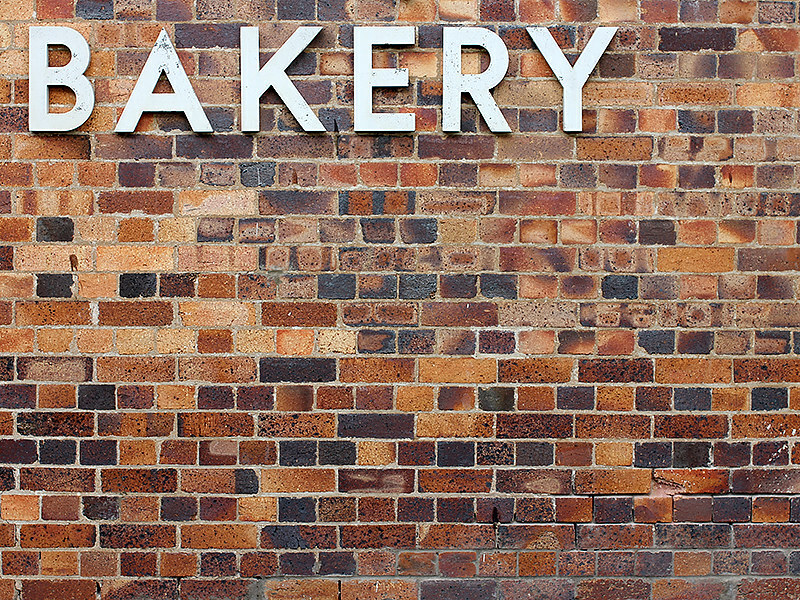 There are a lot of great bakeries down the east coast of Australia ... You won't be disappointed if you pay the Goldfish Bowl a visit. I also assume that it doesn't cost as much to use woods for the oven as to use it in the city. I used to work in a pub with a WFO and it costs a lot when I ordered woods for it. The chefs at Goldfish Bowls are lucky to have a WFO to work with. Inspiring trip, and photos as always, Phil! The breads do look amazing. This is how real bread is ought to be. My cousins live in Sydney, but i haven't paid them a visit yet. Looks like a charming town you've been to. 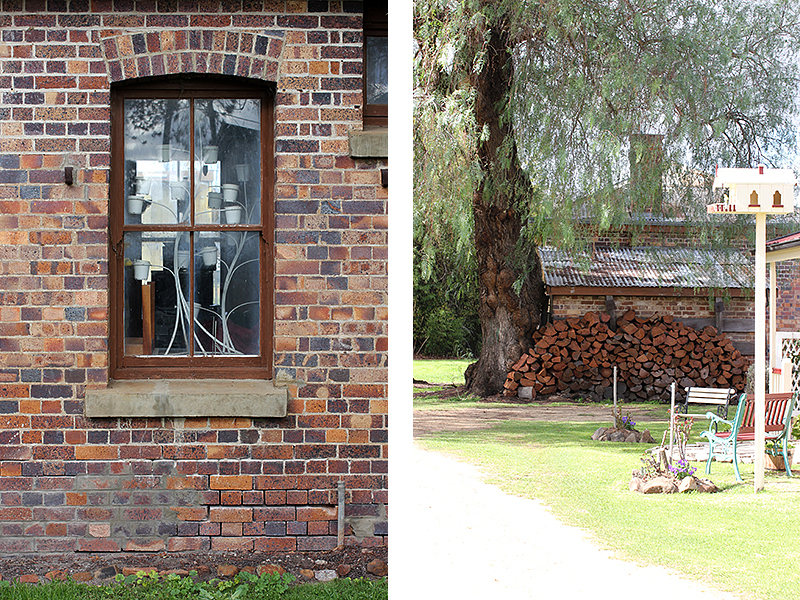 Armidale is about six hours north of Sydney ... about half way to Brisbane on the inland route. It is winter here so the town is shrouded in thin smoke from everyones heaters. It sits in a bit of a dip so the smoke takes a while to clear. What a great read Phil. I suppose that each of these small bakeries only had 1 or 2 people working in them - the owner and some other family member so it wasn't the cost of labor or the quality of their bread either that put them out of business. Sad really. Must have been the cost of wood, to fire those huge monsters that finally got them. ... and probably the hard work. After seeing the size of the dough troughs and the ovens ... the amount of sheer physical labour must have been incredible. Hard to imagine nowadays. I am not to sure of the history ... but I would hazard a guess that wood fired ovens just couldn't match the production of large industrial bakeries. example of the business rule ....you can only have 2 of the 3 .... Low price, quality and service. If the customer chooses low price, then quality or service suffers. Thankfully, there are still enough customers out there who are for quality and service and don't mind paying a higher price - but they are outnumbered greatly - possibly 95% are into low price - and why there are so very few bakeries using WFO.s left in the developed world. In my design days we had a similar rule - price, quality and speed - choose two. 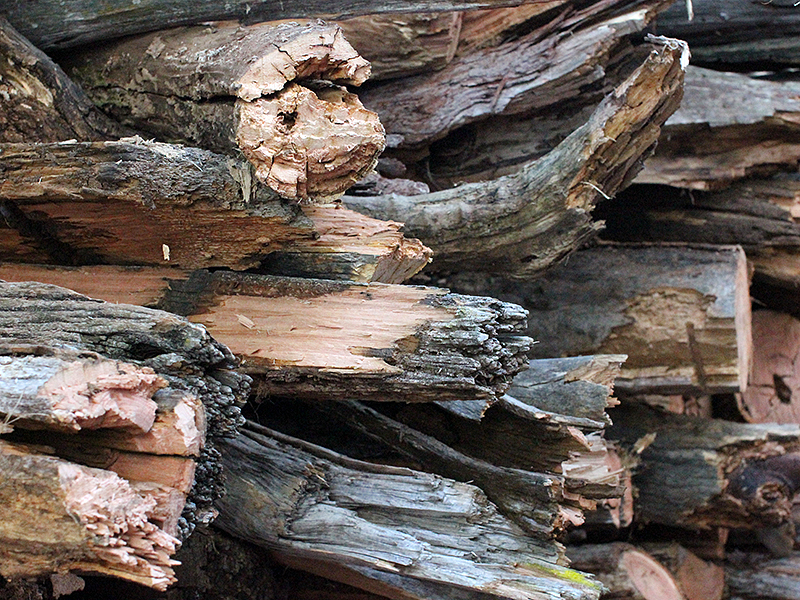 Wood is cheaper as a fuel source than electricity...but of course it is far more labour-intensive...and dirty, intense physical work at that. And running wood-fired ovens on an industrial scale is a difficult concept to imagine isn't it? 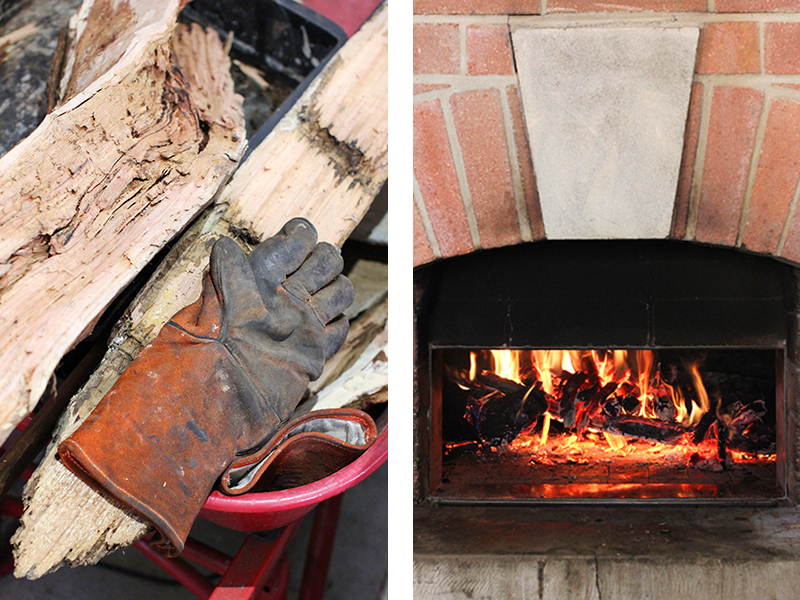 By the way, you asked about Scotch ovens. The original Village Bakery, Melmerby oven was a side firing Scotch oven and it had a really beautiful arched roof to it. My colleague Nigel fired that oven every day during the Summer he worked there, long before I joined the organisation. Oven was at the rear of the restaurant premises, and used by the early bakers at night once the restaurant had closed. Nigel fired during the day as he worked there as the "Gardener"...the firing task was assigned to the gardener!!! Inevitably he was also given chance to learn to bake and use the oven too. When I moved to VB in the mid 1990s the production levels were soring, but based in a new bakery up the back of the original premises. 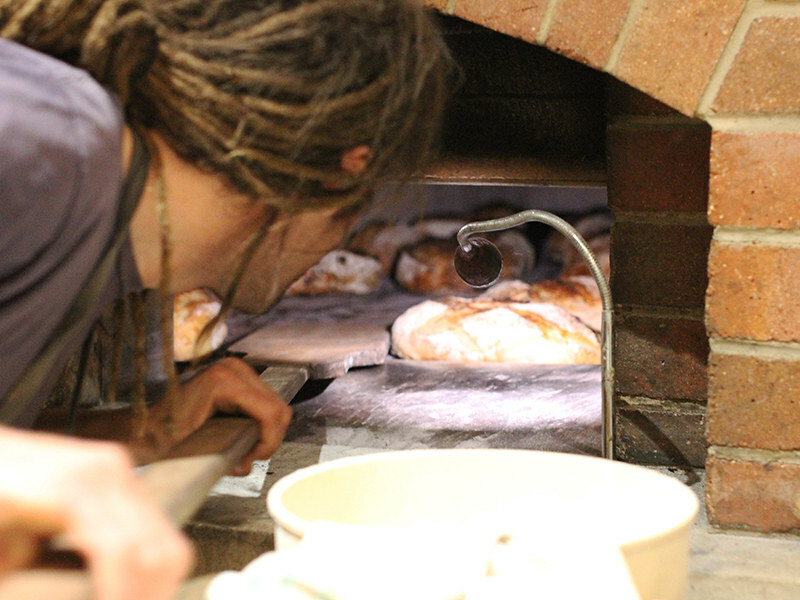 We couldn't cope with demand levels, so the old oven was resurected and a night baker assigned to work down in the restaurant producing using that oven. But it proved such a good oven that we ended up moving racks of produce between bakeries, shunting them down a ramp from the big bakery to bake off in the old oven!!! So I got to use the Scotch oven quite a bit. 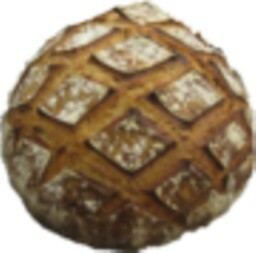 A dream to work on, and to me, the high crown of the oven produced far nicer bread than the low-level top of the French Guelard oven ion the main bakery. Personal opinion, but the steam retained within the high crown produced a moister loaf; the criticism oft thrown at many VB breads were that the crumb was a bit dry. Not the case if we used the Scotch oven! Thanks so much for sharing your Road Trip story. I doubt many readers knew there was a New England down under. I sure didn't. A joy to read and view, despite the sadness of a landscape dotted with derelict bread ovens. Ghosts of loaves and a lives long past. 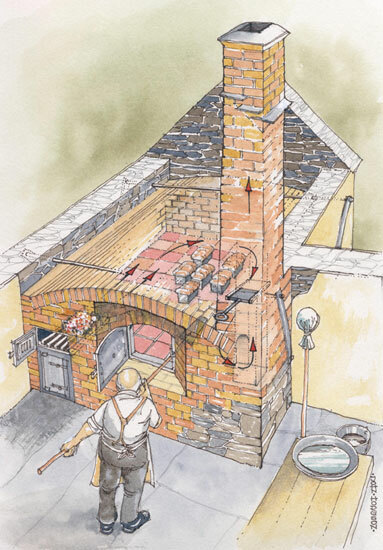 Fitting haromony with Franko's parallel post, describing oven-loading teams in action. And mid-winter looks surprisingly mild for inland NSW. The amount of ovens sitting hidden behind other properties is quite amazing ... I am constantly looking for the tell-tale signs of brick chimneys. Fascinating, Phil. Thank you for sharing. Cool! Phil comes to the U.S.! Oops, no, there's a New England in Australia, too. Thanks for giving us a look at your New England, Phil. 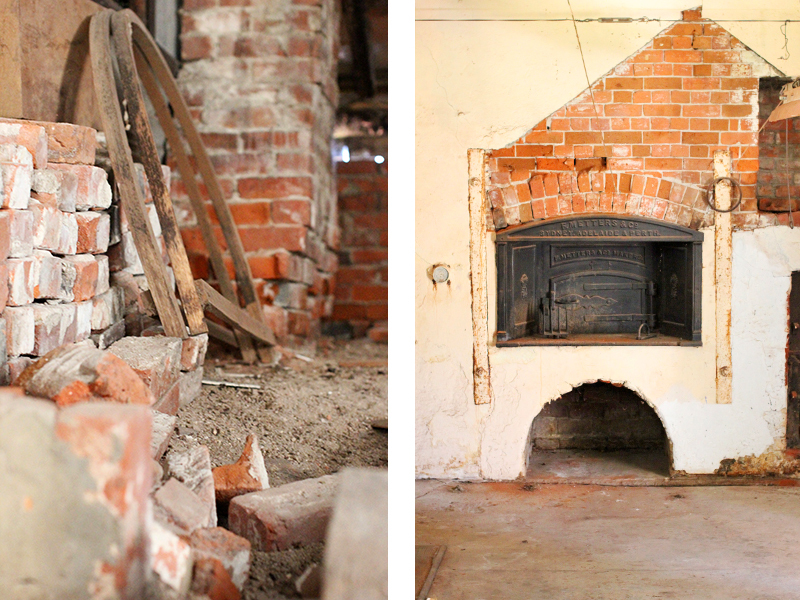 That Tenterfield oven: 3x5m hearth?! Not 3x5ft? That's amazing! Someone had a full-time job keeping the fire going in that one. 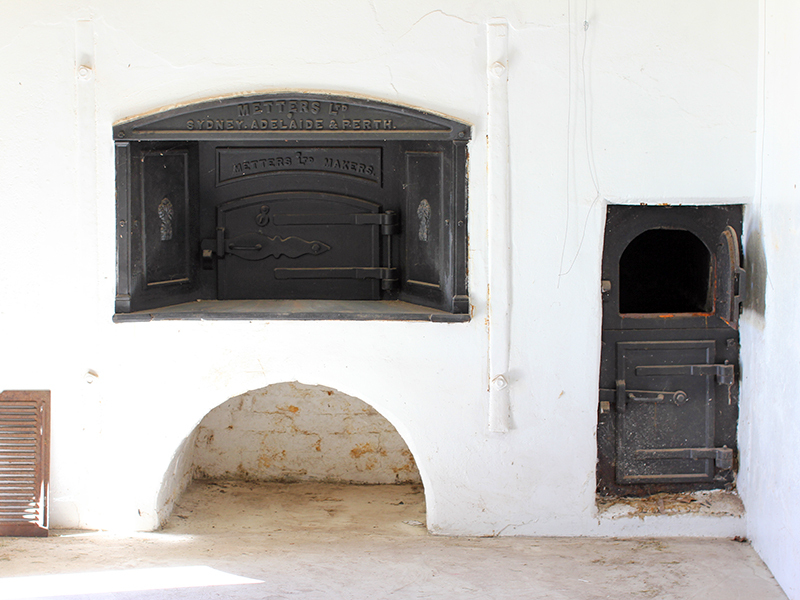 At first glance, it appeared that this was a white oven (not because of the paint) but you mention that the external firebox vents into the oven chamber. Would it still be considered a white oven with this configuration? Just out of curiosity, where was the flue located? Thanks for the pictures and the write-up. I'm glad that you had a chance to bake with the the brothers Oxley. They appear to have built a flourishing business based on a high-quality product. Their prices don't reflect any cut-rate thinking. 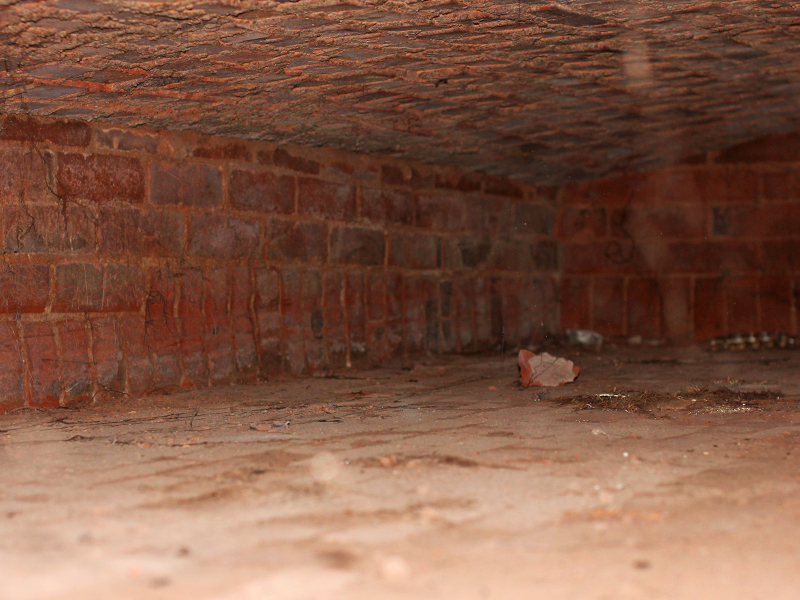 Dennis has helped resurrect one of these ovens and said that it took about 5-6 days of solid firing to bring it up to temp ... once it was there the sheer mass of masonry kept it ticking along nicely. Yep, it's a white oven ... the fire box to the side vented hot air into the oven ... the fire was brought down ... and the oven scuffed/cleaned before loading. The flue control was on the other side of the oven. Sorry, I think I cut it out of the photo ... it was jammed in tight (rusted in) From my limited understanding hot air would circulate in from the right, round the oven then up and out on the left hand side. BOOK screams in my mind as I read through your post. (Did you see that 'Plotzbog' has published his own book???? Not sure if you follow him or not but his breads etc remind me of yours so I 'just ' [nudge] thought I would mention it :) Reminiscent of The Bread Bakers and the pleasure that book brings when reading. An intimate tale indeed as is yours. Loves look wonderful. Color so beautiful. Interesting to read about the difference in the oven and the effect you noted. Makes sense but not something I would have put together on my own which is utterly stupid since I do know that different home electric ovens product a wide variety of results. That I know due to personal experience though. We are in and out of sunshine and rain at the moment ... a bit of sun for the time being is nice. I think Nick has setup a great balance with the oven at the Goldfish Bowl. He isn't trying to push it too hard and risking the quality of the bread. It's all about the quality of the finished product ... and his chefs get to utilise it as well. It's a win, win situation. I throughly enjoyed the whole trip : ) The amazing photos. 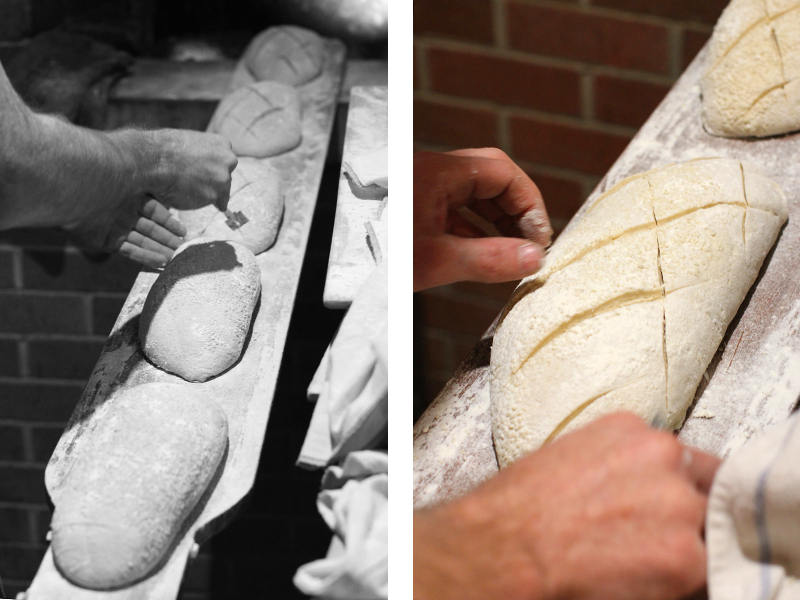 I especially enjoyed seeing the baker's use of the narrow peel, loading his loaves into the smallish wood fired oven door and the care taken once inside. They also were fastidious about the crust colour ... resetting timers for 1 or 2 minutes before checking again ... perfectionists! So here's me thinking you had lined up a visit to Jeffrey and Gerard, Phil! Your reference to Scotch ovens brought back many pleasant memories. Meanwhile my very small oven is up for renovation tomorrow..much needed. 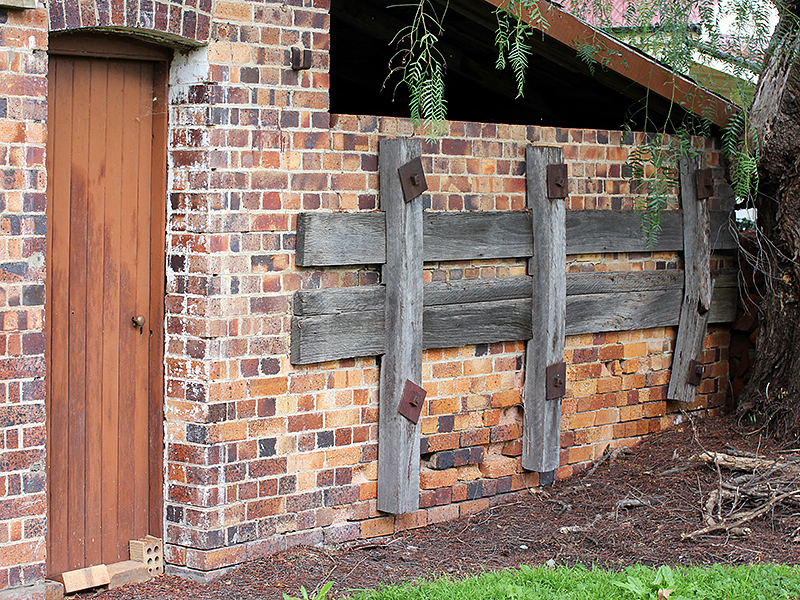 Lovely post; continues to reveal the great bread to be found on that massive stretch of the east coast of Australia. I wish! ... I can't even fathom the amount of bakeries I would like to visit in the states! Have you had the opportunity to bake in scotch ovens? yes ... we are getting some very good bakeries here ... seems to be a tendency for them to grow rather large though ... I like the fact that the Nick and his brother really just want to feed their local customers ... their regulars ... they are not upscaling and compromising there product ... the have diversified there business in other ways. clever. Well it seems we've both been on the road of late, travelling different roads in different places but each leading us to our mutual interest in bread and baking. 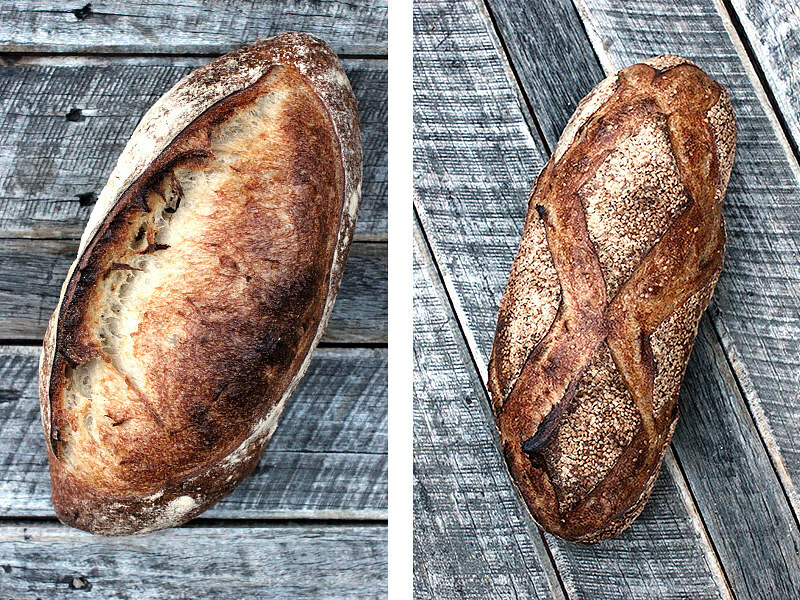 Thanks for sharing your latest bread travels,such an interesting and well written addition to what is already a very impressive collection of your thoughts and photos regarding bread. 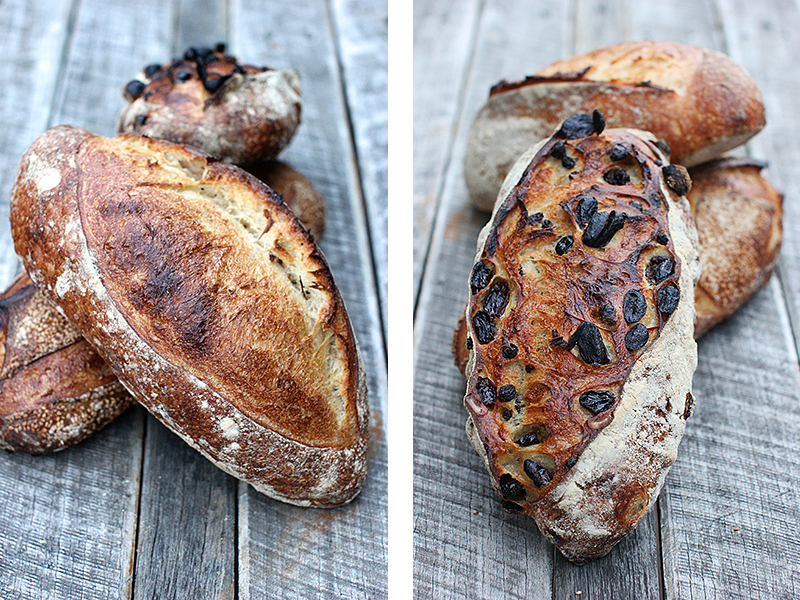 Speaking of bread, the loaves you and Nick turned out look amazing. Well done to the both of you! Wow Phil. Thanks for this adventure. 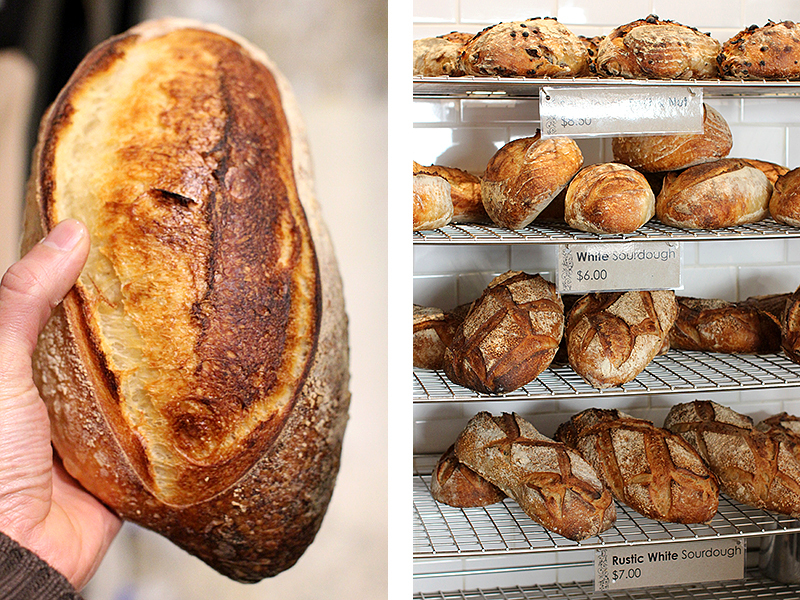 Here's an idea for you...a tour book of bakeries. Local, abroad...even if you don't go with this idea, you should do it anyway and sell me a copy. You really know how to narrate and reproduce the experience. The amazing photography helps too of course. Great idea though, I agree with you. Thanks John,Funny you know ..
Lovely write-up and stellar photography! Thank you for sharing your travels. Like Andy said, the title of your post made me think you’d been to Vermont :^) It looks like it was an incredible trip! 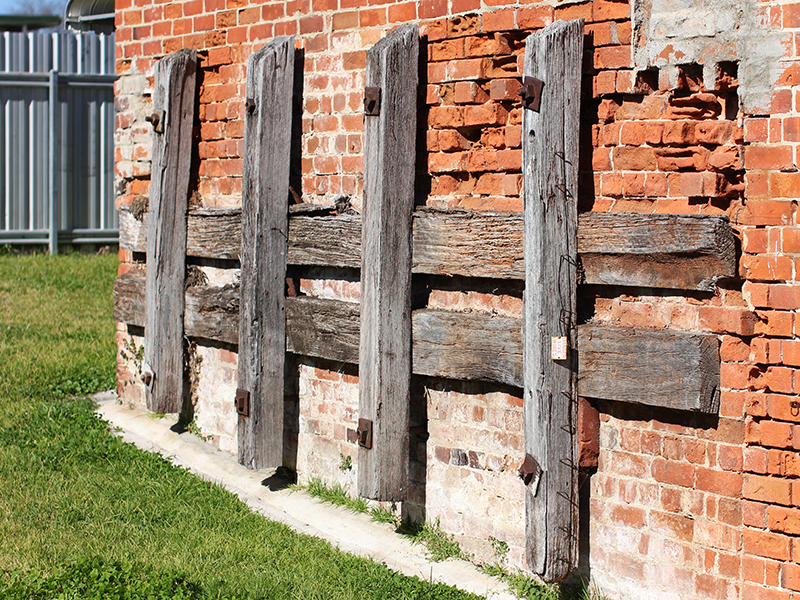 I really love the pictures of the weathered boards, the bricks and the breads. 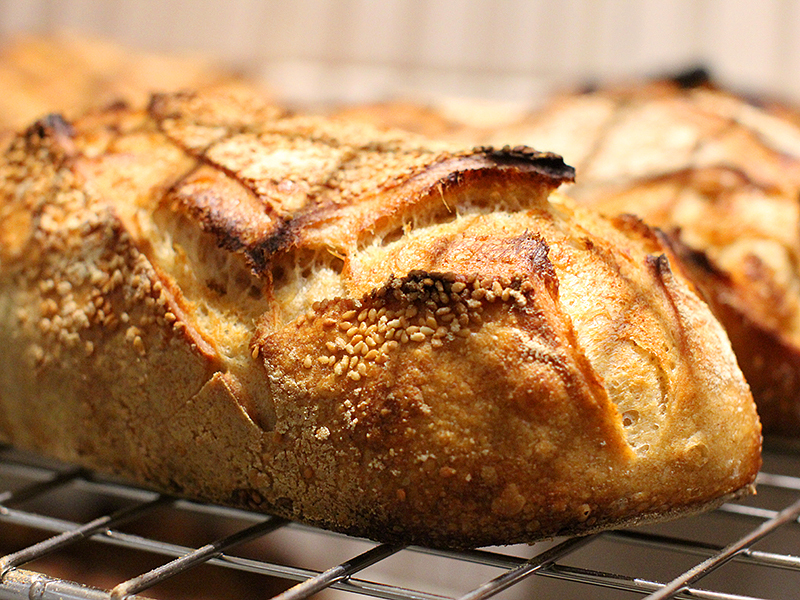 All of the bread photos are wonderful but my favorite is the photo of the sesame-crusted, cross-hatch-scored batard, with complementary cross-hatch shadows falling from the cooling rack above. Brilliant. 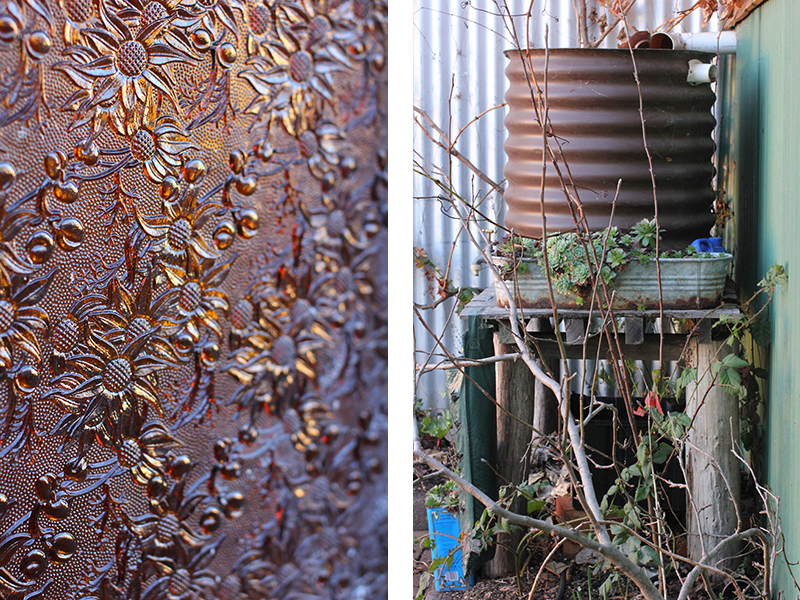 And the piece of floral glass you photographed – stunning! (What was that glass part of? It has the iridescent hue of Depression glass). Thank you so much for taking us along on your travels! I know Dennis and I would love to see some of these old bakeries up and running again ... the time is right and people would appreciate it I am sure. 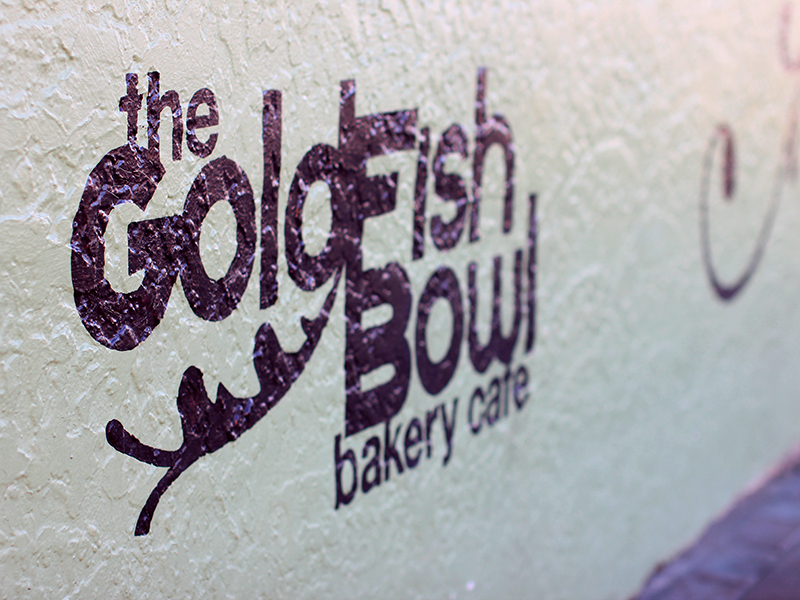 The Goldfish Bowl is a bit of a treasure and something that you wouldn't expect in a small town like Armidale. The piece of glass is a small window that they had installed in the side of the cafe ... it caught my eye straight away! You have a great eye a good photograph. It's a stunning blog post all round. Hi Phil thanks for taking the time to take us all along on your trip, i find old bakeries fascinating if only the walls could talk. 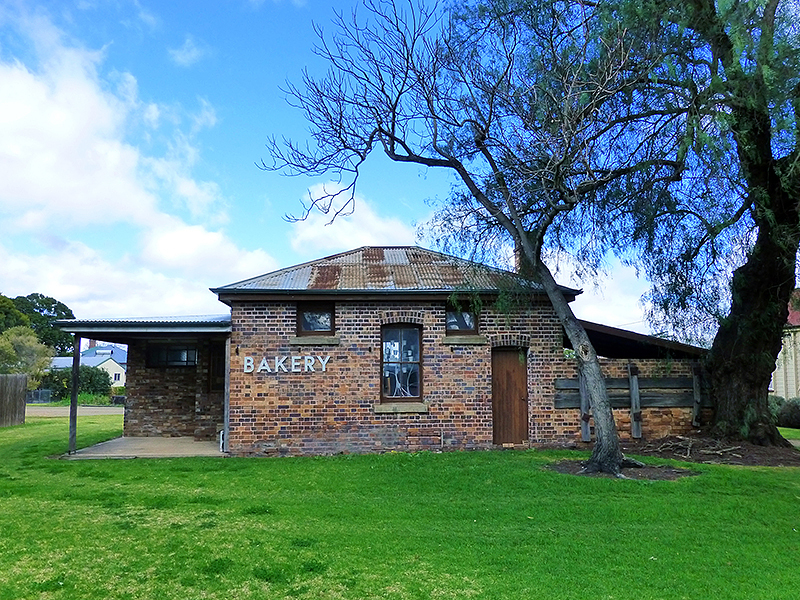 I think i can see a future for you as a young fella doing a book or documentary visiting and baking at these places Phil, Then there is the old New Norcia Bakery here in the West too. Perhaps we should open a new topic Old Bakeries Worth a Vist. Dennis seems to have a lot of contacts and is thus discovering ovens dotted all over the country ... quite amazing. If you are ever down that way ... drop in to the Goldfish Bowl .... well worth it. 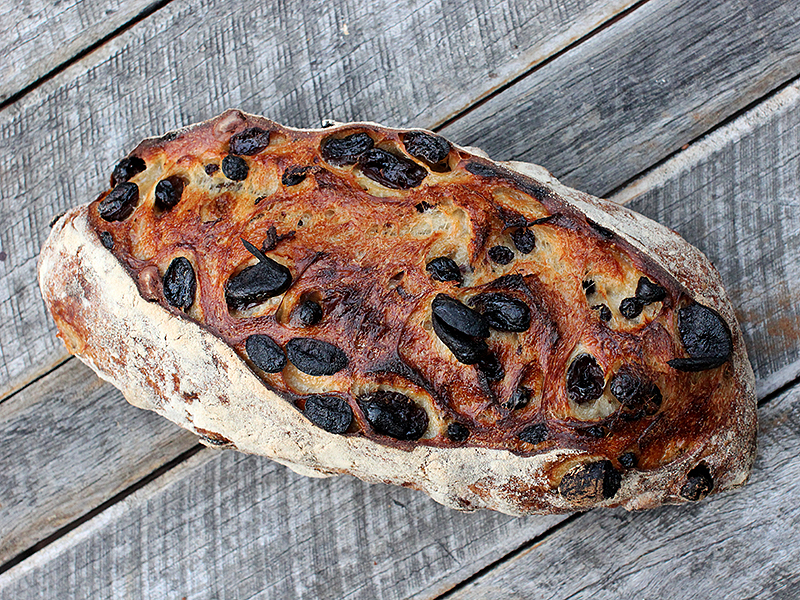 There rustic loaf uses a rye starter and some rye flour ... quite aromatic. 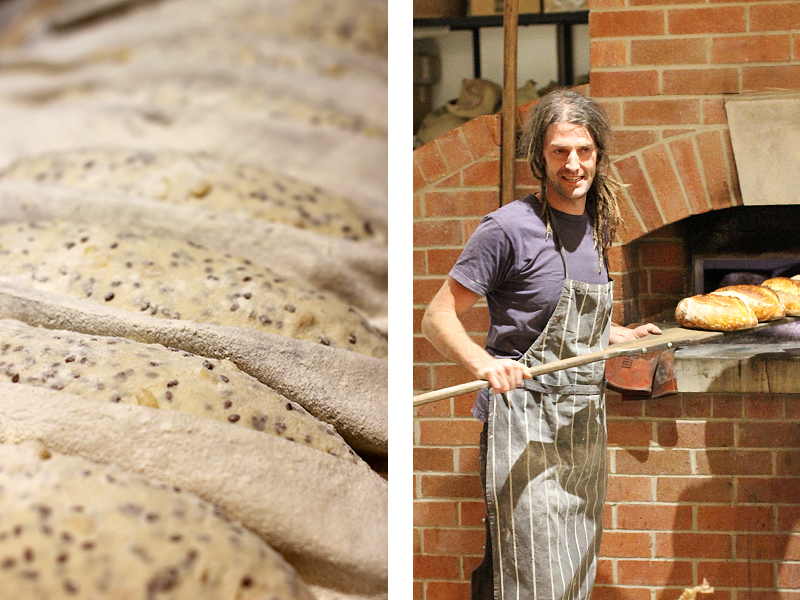 There is another interesting story on a bakery that has been renovated, its the Maylands bakery or 8th ave bakery, if you google it there are some good stories about the old Bakery and how its been resurrected, i think that there are some pics of the guys inside the oven relaying the floor on their face book page. i did get an invite when they were first opening but have yet to get along there.